What Is a Music Synchronization License? Master sound recording: This is the actual studio recording and is usually owned by a record label. Composition: This is the music notes, lyrics, and melody written by the composer and songwriter, usually owned by the publisher. When a director or producer wants to use a particular song in his work, he must contact the owner of that piece. The owner typically offers the music at a particular fee for one-time use. The cost will be dependent on the prominence of the piece, how it will be used, how much of the song will be used in the piece, and whether or not the piece will be used in its original form or covered by another artist. Depending on the song, the cost can range from a small fee for a relatively unknown piece to hundreds of thousands of dollars for a well-known song. For independent artists or up-and-coming professionals, sync licensing can be a major source of revenue and an effective way to find new fans. Music included in a popular video may be heard by people who previously were unfamiliar with the artist. When they hear it, they may love it, share it with their friends, or purchase the material. It can be a great way to build a following and get exposed to a larger audience. A sync license can help breathe new life into music that has been out for a while. A video, television show, or commercial can bring new attention to an older piece, bringing in new royalty payments and fresh attention. While most artists focus their business plans on selling CDs and downloads and on booking live shows, sync licenses create opportunities for artists to earn passive income through continued royalties or usage fees. One of the greatest benefits of sync licensing is that it can lead to "passive income." In other words, once the music has been written and produced, sync licensing can continue generating revenue for artists. Making as much money as possible is a typical goal for any songwriter in a sync licensing deal, but all negotiations are different, according to Digital Music News. 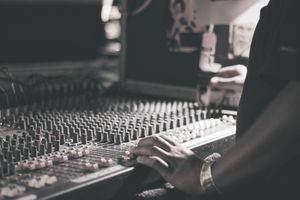 For example, an independent filmmaker might have a small budget or the songwriter looking to sell the rights to a song might be relatively unknown. It might be worth taking a smaller fee in such circumstances if the independent film is a good vehicle for the music, or the unknown songwriter could gain valuable exposure by taking no more than a credit in a larger project. It's up to the songwriter to determine what's most valuable to him or her in each negotiation.